Listen to The Legislature Today on January 24, 2018. 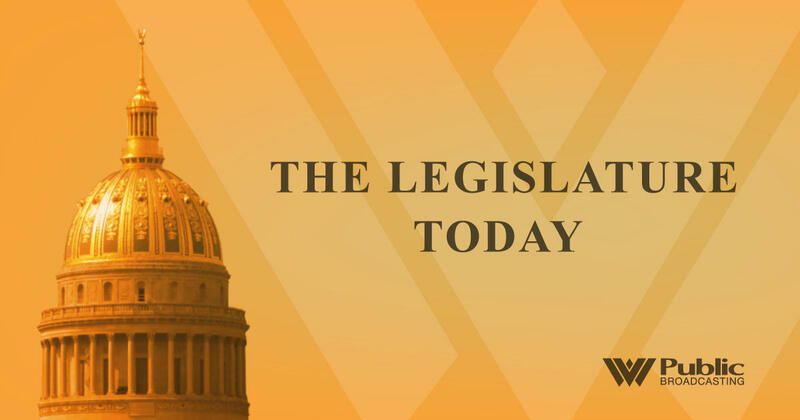 On The Legislature Today, host Andrea Lannom is joined by Dr. Rahul Gupta, West Virginia’s Commissioner for the Bureau of Public Health. Gupta chats with Lannom about DHHR’s Opioid Response Plan - an initiative to explore the most effective ways the state can combat the opioid crisis. The plan was first released for public comment by the Department of Health and Human Resources in November 2017. In early January 2018, the plan was released for further comment. Also in this episode, medical marijuana could once again hit lawmakers' desks this year. During the 2017 state Legislative session, West Virginia passed the Medical Cannabis Act, permitting patients with a written doctor's certification to use medical cannabis and buy it from registered dispensaries. The bill was a big shock – with few thinking passage was possible. But as Appalachia Health News reporter Kara Lofton reports, supporters of the bill this session say it didn't go far enough, while opponents say it went too far. Sen. Richard Ojeda, D-Logan, who was the lead sponsor of last year’s medical marijuana bill, says he will introduce legislation in the next few days that would broaden West Virginia’s medical marijuana law. The legislature approved a resolution to authorize a monument on the Capitol grounds, dedicated to the sacrifice of Gold Star Families – families of fallen soldiers. The project was led by Medal of Honor recipient and World War II hero Hershel Williams, better known by his nickname "Woody.” The 94-year-old West Virginian served in the Marines and was decorated for heroism at Iwo Jima. Senior Reporter Dave Mistich brings us a story from the Senate, which passed a bill that creates a Sexual Assault Victims' Bill of Rights. Mistich details the bill and another piece of legislation under consideration that aims to help sexual assault victims. *Editor's Note: The headline and top of the web story were adjusted on January 25 to clarify and reflect the focus of this episode on the Opioid Response Plan. Listen to The Legislature Today on January 22, 2018. On The Legislature Today, education bills are making their way through committees. Host Andrea Lannom asks House Education Chairman Del. Paul Espinosa to outline some of that legislation as well as touch on issues that might come up at the statehouse this year. Listen to The Legislature Today on January 19, 2018. On The Legislature Today, House Speaker Tim Armstead has announced he will step down from the West Virginia House of Delegates in 2019, and is considering a run for the state Supreme Court in 2020. We also bring you another reporter roundtable with host Andrea Lannom, Brad McElhinny of MetroNews, and Jake Zuckerman of the Charleston Gazette-Mail to chat about what’s happened at the statehouse this week and what’s to come.